Hosted by the Office of Diversity and Inclusion at the University of Chicago Medicine and Biological Sciences, the Diversity Speakers Series offers an opportunity for our faculty, residents, medical students, post docs, and staff to meet and interact with regionally and nationally recognized leaders in diversity, cultural competency in academic medicine, LGBT issues, and public health. The Office of Diversity has hosted a number of Diversity Speaker events. See below for more details on these past events. 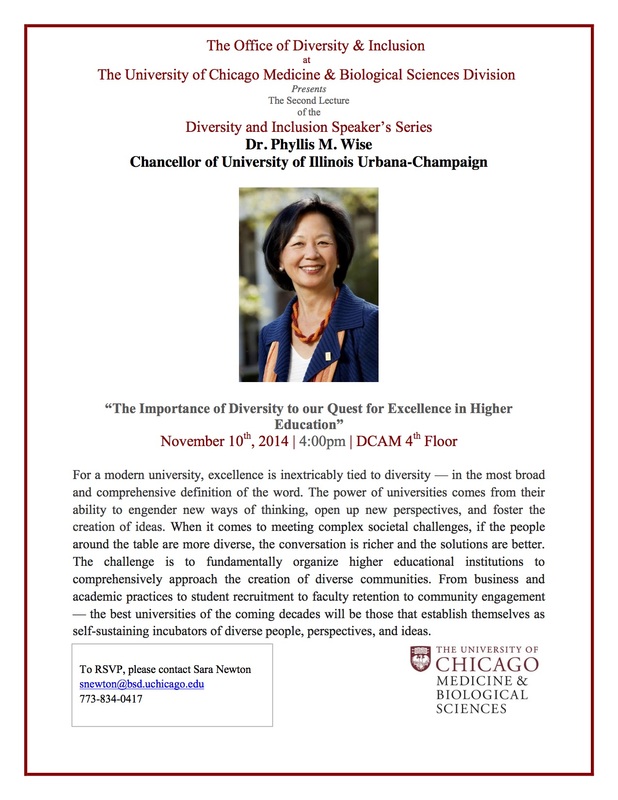 Dr. Phyllis Wise is Chancellor of the University of Illinois at Urbana Champaign. Dr. Wise’s talk, “The Importance of Diversity to our Quest for Excellence in Higher Education” addressed the challenges and opportunities of diversifying a campus. Dr. Wise’s lecture was held in the DCAM auditorium. 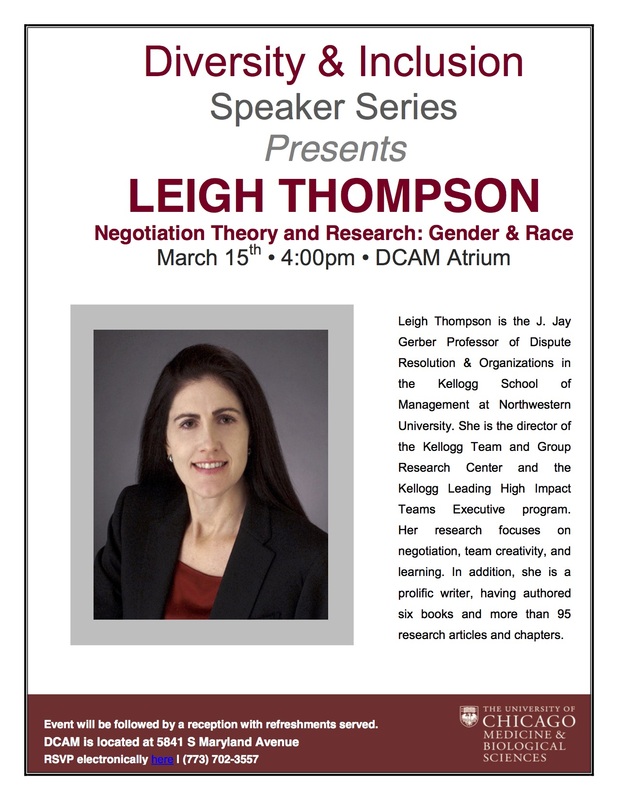 Leigh Thompson is the J. Jay Gerber Professor of Dispute Resolution & Organizations in the Kellogg School of Management at Northwestern University. She is the director of the Kellogg Team and Group Research Center and the Kellogg Leading High Impact Teams Executive program. Her research focuses on negotiation, team creativity, and learning. In addition, she is a prolific writer, having authored six books and more than 95 research articles and chapters.